How to create Facebook multi-product ads? 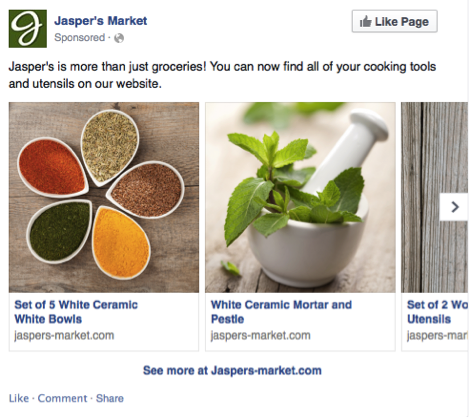 Facebook has recently launched multi-product ads, which is useful for e-commerce websites and online merchants. 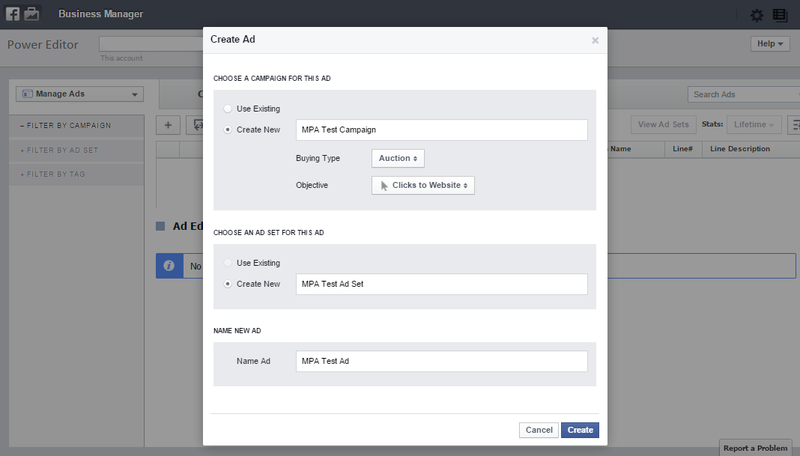 Creating multi-product ads is not as straight-forward as the usual Facebook ads, as this is not available in the standard Ads Manager. 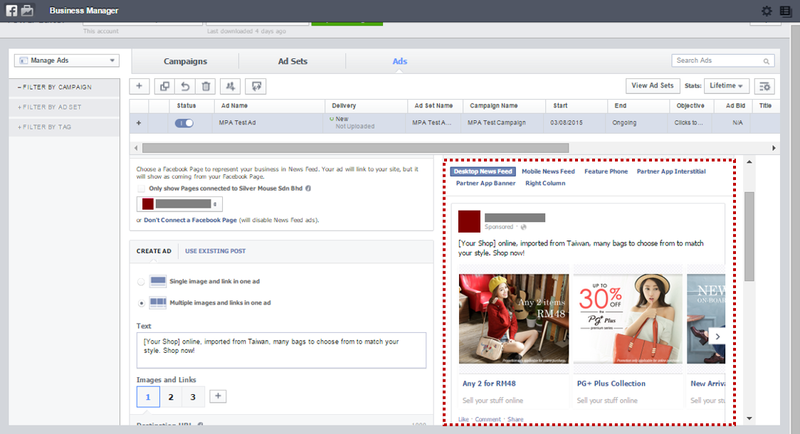 Therefore, we are going to explain how to create Facebook multi-product ads in a step-by-step guide, read on! 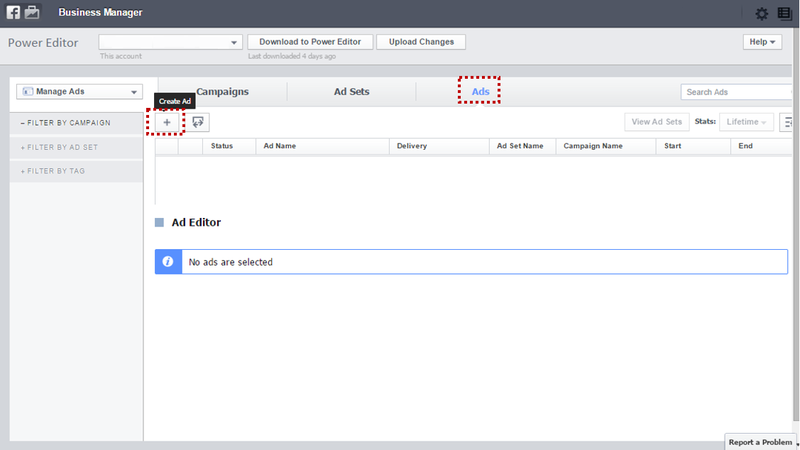 You need to first go to Facebook Power Editor, refer this guide if you are not sure how to do it. Then, go to "Ads" as highlighted above, click on "Create Ad +" button. Pop-up like below will be shown, it is recommended that you create a new campaign for multi-product ads. You can select either "Clicks to Website" or "Website Conversion" as your objective. Furnish the rest of the details for Ad Set and Ad, then click "Create" button. Ad unit will be created like below, remember to select the Facebook Page associated with this ad, otherwise the multiple images ad section will not be shown. Next, select "Multiple images and links in one ad" as highlighted above. Note: There are chances that you might not see the section above, so you just have to wait until this is being rolled out in your ad account. Enter the "Text" description as your main ad copy, then you can navigate around the "Images and Links" numbered as 1, 2, 3... to create multiple product ads. 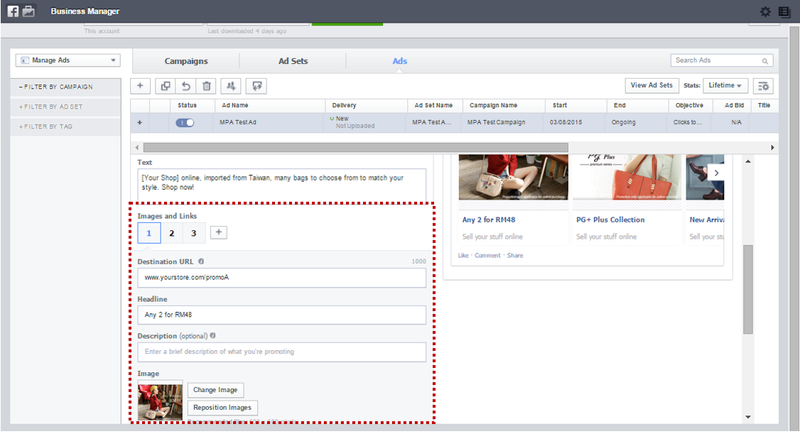 You can click on the "+" button to create more than 3 product ads. Enter URL, Headline, Description and select Image for each product ad. Besides multiple product, you can do this creatively by creating multiple categories, promotions, or even create a story via multiple images and links. You are done now, just preview your multi-product ads in the section highlighted below. Go through all the images and links carefully, you can also check how it looks like in Mobile News Feed and others. Voila, you are done! Now, compare this with your standard ads and evaluate whether Impressions, CTR, Conversions etc. 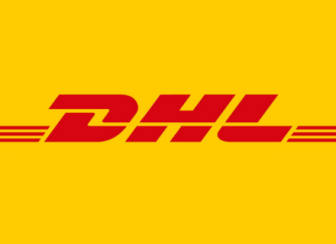 improve with multi-product ads. Read also: What is the average CTR, CPC, CPM of Facebook ads? 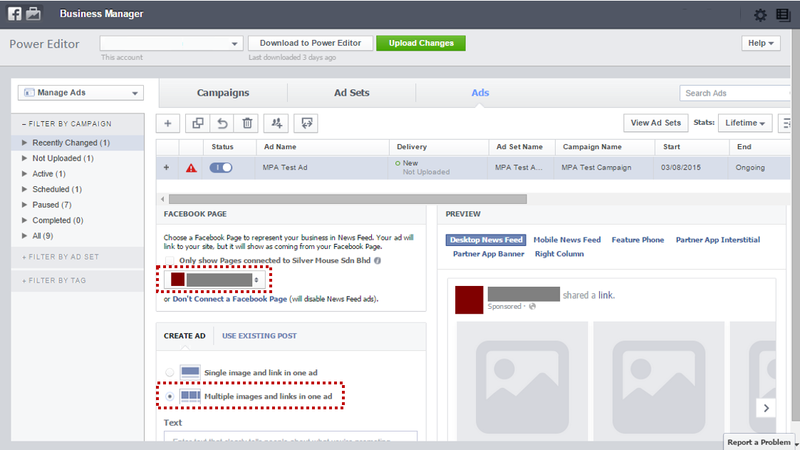 ecInsider: How to create Facebook multi-product ads?